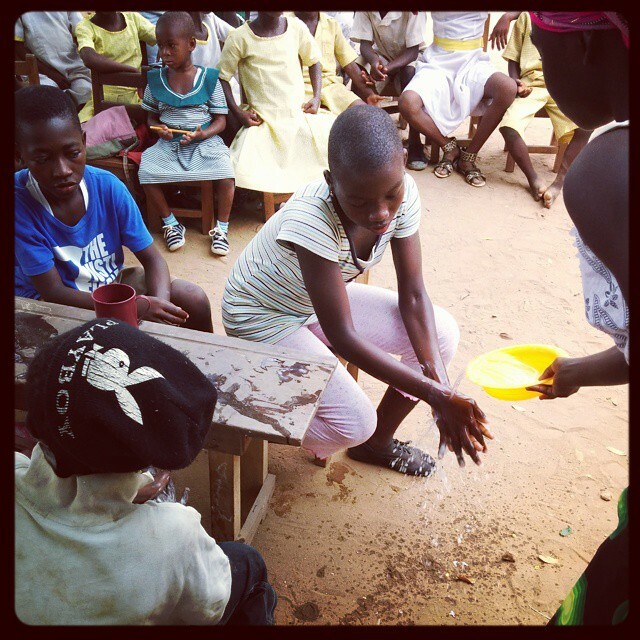 Children at Kukua RC school performing the clean hands save lives drama to their peers and teachers. Hilarious! 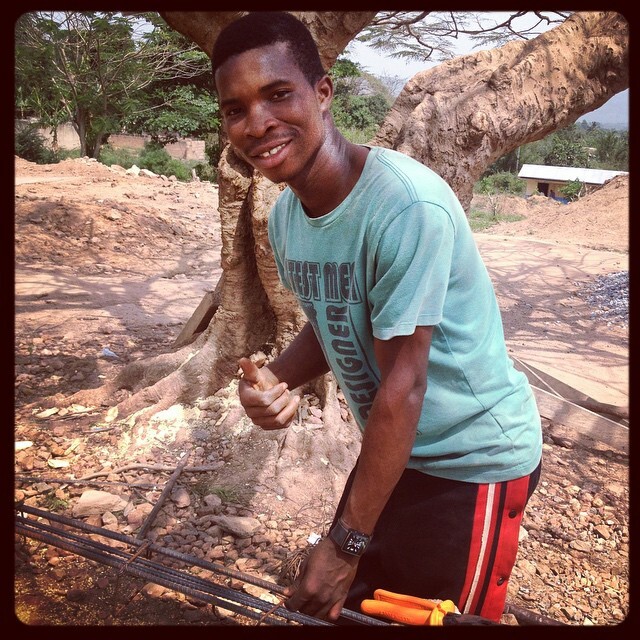 Emmanuelle learning how to make steel at the building site in Abenta where we are building. 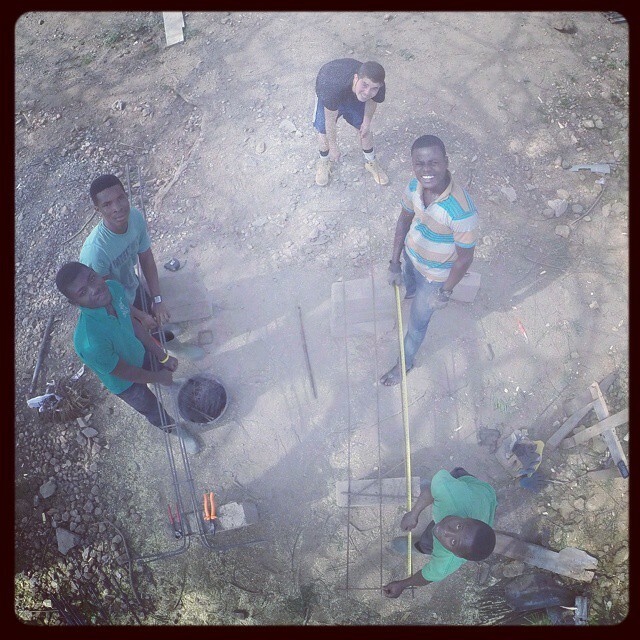 Our volunteer Liam and the building team here in Abenta, Ghana, West Africa make reinforcement for the foundations to the new base / school. It’s important work so that our building is strong for many years to come.